Driving pleasure with a charging experience to match: the fully electric BMW i3 premium urban vehicle emits zero emissions and is equipped with a charging system from LAPP that is perfectly tailored to the vehicle concept. 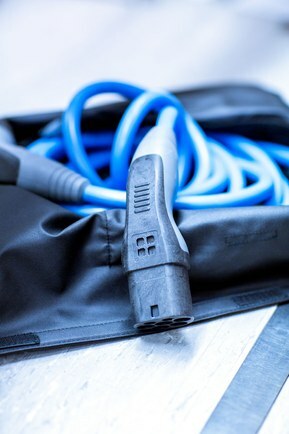 LAPP is a full-service provider in the field of connectivity solutions for electric mobility. Producing vehicles that are a pleasure to drive will not be enough to make electric mobility a success going forward. Easy handling and good everyday suitability are also important factors for success. This is particularly true with regard to the charging process, the electric vehicle's equivalent of filling up the tank. The Munich-based automotive manufacturer BMW enlisted the services of LAPP Systems (a subsidiary of LAPP) to ensure that the charging infrastructure would be designed to be as user-friendly, reliable and safe as possible. The BMW i3 comes with a Mode 2 charging system for standard household sockets as well as a quick-charge system for faster charging at locations such as public charging stations. In addition there is the very quick and convenient option of charging using the BMW i Wallbox Pure charging station, which can be installed on the wall of a house or garage. The contribution of LAPP Systems to the BMW i3 solution included developing both the quick-charge cable and the cable and connection components for the BMW i Wall Box Pure. This involved tailoring the various technological, design, appearance and sustainability features to the vehicle concept to best effect. Thanks to LAPP HELIX, a spiralised charging cable specially developed by LAPP for e-vehicles, weight and space requirements have been reduced to a minimum. 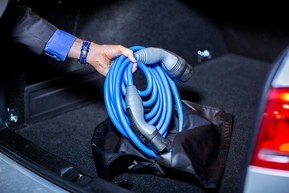 The LAPP HELIX quick-charge cable was provided to BMW as a fully assembled charging system with connector and coupling element. LAPP Systems ensured that all components were perfectly tailored to the design DNA of the BMW i3. Once the charging process is complete, the cable simply rolls itself back up thanks to its shape memory and is therefore always neatly stowed away. The charging cable is halogen-free, flame-retardant, oil-resistant and suitable for use in temperatures ranging from -40°C to 90°C. It is available as a three-phase 20 A cable or as a 32 A single phase cable. 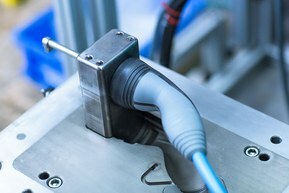 The Mode 3 charging cable comes complete with the LAPP HELIX with type 2 connector complying with VDE standards and a coupling. The connector is exceptionally high quality and robust, as it is injection moulded rather than having two halves screwed together. The amount of material required for the LAPP HELIX cable is only half that for a coiled cable type. What is more, the cable is around 40 percent lighter. The reduction brought about in material requirements means a 25 percent cost-saving for BMW. Customers also benefit from easier handling and a space saving of up to 60 percent, which means more storage space. They also benefit from reduced energy consumption and with it an extended range. The internationally active BMW Group, with its three brands BMW, MINI and Rolls-Royce Motor Cars and employees numbering around 116,000, is one of the largest commercial enterprises in Germany. With an output amounting to 2.12 million vehicles in 2014, the Munich-based premium producer is amongst the world’s 15 largest automotive manufacturers.